This L-shaped picket fence looks really good when it’s hiding that AC condenser thing that looks terrible on the side of your house. The pointed pickets are wide enough to hide things like HVAC compressors, and spaced to let air circulate. 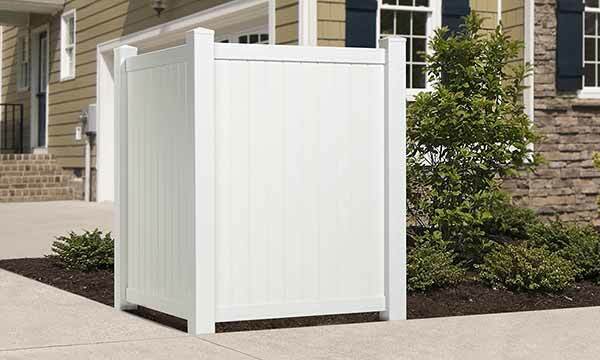 Other places this vinyl accent fence works: driveways, gardens, patios.